Photo courtesy of Quincy Street Distillery. Even the most casual observer of the alcohol industry couldn’t help noticing the explosion of Fireball onto the scene several years back. The Canadian cinnamon-flavored whisky rose from obscurity to ubiquity, seemingly overnight—the sudden shot of choice at the sports bar, handle of choice at the frat party, nip of choice at the liquor store. In 2015 the MSS US Bartender Influencer Study surveyed 15,000 bartenders nationwide and found Fireball to be the most recommended spirit at the bar—across all categories. While Fireball’s parent company, Sazerac, does not release sales figures, Impact Data Report estimated Fireball sales at 4.5 million cases in 2016. Not to be left behind, many major American whiskey brands followed suit, including Jack Daniel’s (with its Tennessee Fire), Jim Beam (Kentucky Fire), and Heaven Hill (Cinerator). But what about smaller producers? Have any attempted a craft cinnamon whiskey? 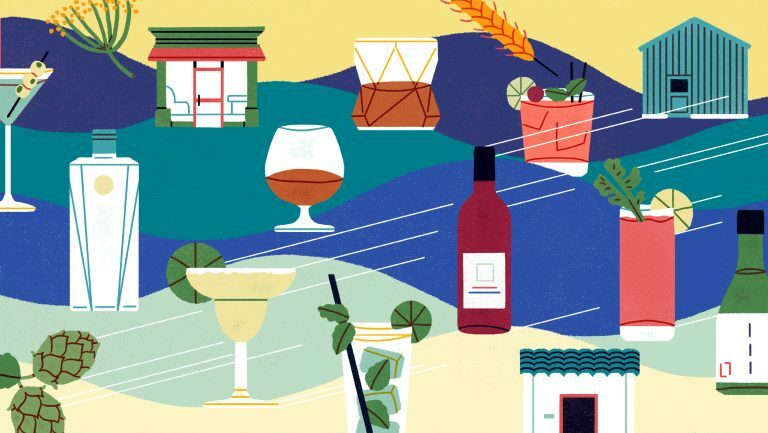 SevenFifty Daily found a couple of craft players that have launched cinnamon whiskeys, attempting to break into a market that so far has been dominated by major players and finding mixed results along the way. “In the craft spirits world, you’re always looking for some kind of niche,” says Gene Marra, the owner and distiller at Cooperstown Distillery in New York. “Something you can pluck from the competition and make into an opportunity.” Because his distillery is located in the home of the National Baseball Hall of Fame, many of the brand’s labels allude to the baseball connection, an “opportunity” that also led to Spitball Cinnamon Whiskey, launched in 2016. Marra spent over a year in the process of developing his Spitball, beginning to end: using his own background as a distiller and a former chef to determine the broad profile he was after, meeting with a flavor specialist team to map out their aims, then dedicating a week in the laboratory to tweaking the formula, tasting over 30 lab samples across many proofs and styles of whiskey. Spitball uses three kinds of cinnamon, along with traces of coffee and chocolate “to add a bit of depth on the finished palate,” Marra says. He went one step further—“kicking up the Scoville scale,” a measure of spicy heat—by adding capsicum, a kind of pepper, to the formula. Distributing around the Northeast, Cooperstown has had the most success in local on-premises sales. “A lot of bars in upstate New York like to play up the local angle,” says Marra, “so we’ve been going after that market.” A number of bars in Albany, Syracuse, and Buffalo have swapped out Fireball for Spitball, eager to sell a local product and amenable to the comparable price point. Quincy Street Distillery, just outside Chicago in Riverside, Illinois, deviates even further from Fireball. 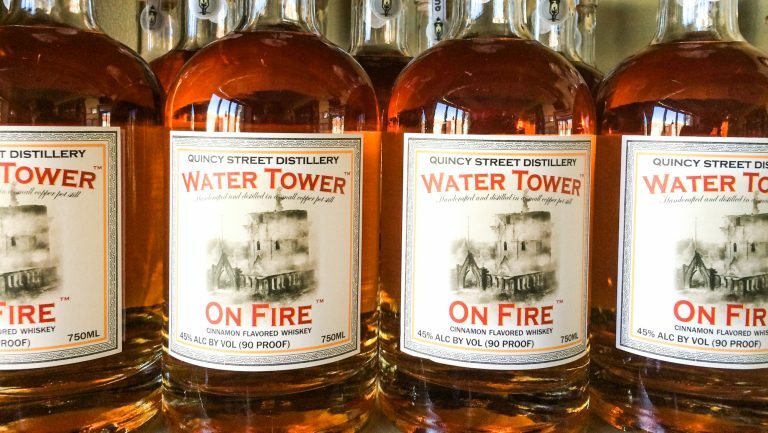 The distillery’s Water Tower on Fire Cinnamon Whiskey, launched in February, is a version of its unaged corn whiskey steeped with cinnamon, then bottled at 90 proof. The whiskey eschews sugar altogether. But Mancini appreciated the tradition and modeled his Water Tower on Fire after it, without sugar. “We decided to make it the way these guys did at home,” he says, albeit with quite a bit more precision—90 percent Cinnamomum verum (also known as Ceylon cinnamon) was added, along with three other kinds of cinnamon. “We’re all about the cinnamon. It makes sense in the tradition of whiskey generally,” says Mancini. “Aged whiskey is all about the wood, and cinnamon is a bark. So an unaged corn whiskey that extracts flavor from cinnamon bark—it’s not so surprising. For cocktails, Mancini finds that his Water Tower on Fire works in an Old Fashioned (no bitters required), with cider punches, and even with Coca-Cola, which with most cinnamon whiskeys would be far too sweet. 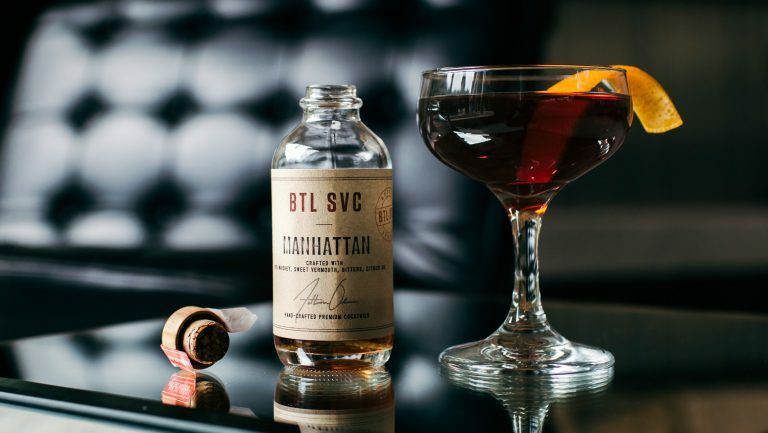 And while Spitball is often ordered as a shot at the bar, thanks to its positioning as a Fireball alternative, Marra believes it holds its own on the rocks or as a cocktail—in a cinnamon-tinged Manhattan, for example, or mixed with apple cider or hot chocolate. The major brands are also looking beyond cinnamon whiskey shots. 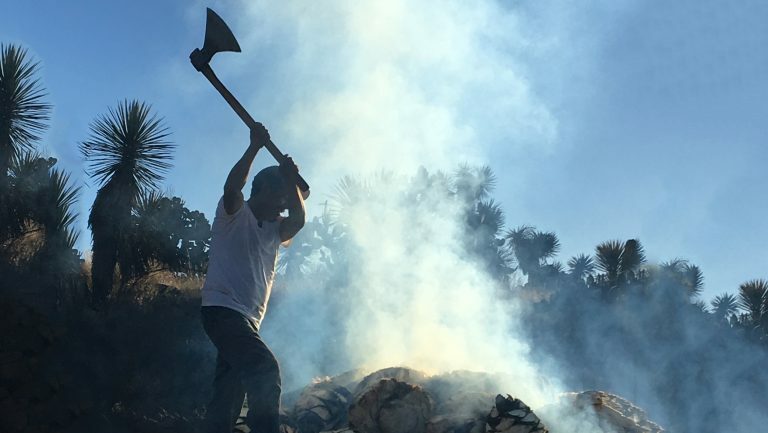 “We do have a high percentage of shots, but we are seeing Tennessee Fire consumed in other ways as well,” says Casey Nelson, brand director of flavored whiskeys at Jack Daniel’s. 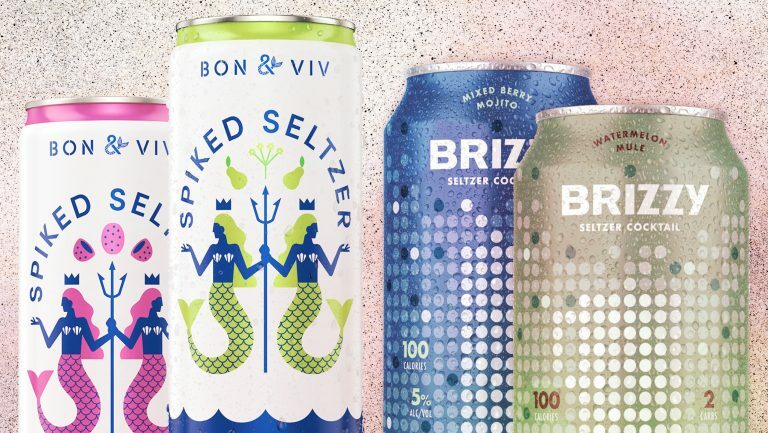 “It’s complex enough to be appreciated on the rocks.” And apple cider and ginger beer are gaining ground as preferred mixers. For its part, Cooperstown Distillery is on track to sell 500 cases of Spitball in 2017, with 50 percent growth (to 750 cases) projected for 2018. However, challenges exist. As Marra acknowledges, “It’s a pretty saturated market.” On the one hand, there are Fireball and other heavyweights, including those of Jack Daniel’s and Jim Beam. 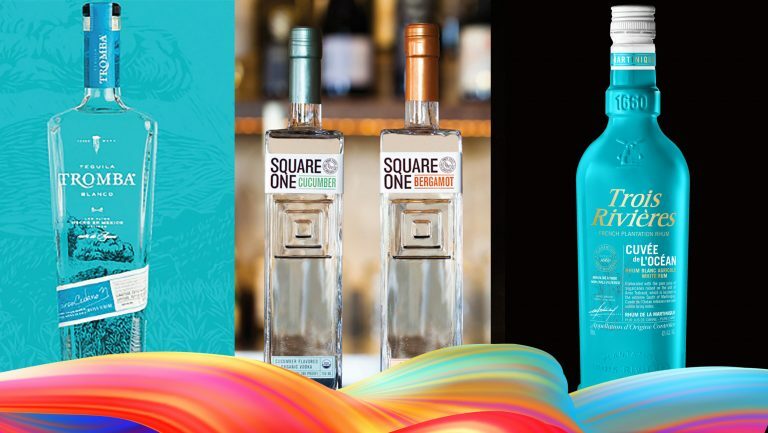 On the other, numerous mass-market distilleries with no well-known brands have also jumped on the trend, putting out faux Fireballs, cinnamon-flavored bottom-shelf spirits designed to sell and sell cheaply. If a liquor store already has five or six cinnamon whiskeys, why the need for another? Both distillers say that they’ve found an eager audience in their own regions, and that even if it’s not growing as quickly as it once was, the market for cinnamon whiskey remains a healthy one. Whether converting Fireball fans to Spitball sippers, or persuading bourbon lovers to try Water Tower on Fire, both distilleries are finding success, one drinker at a time. Carey Jones is the author of Brooklyn Bartender: A Modern Guide to Cocktails and Spirits and a frequent contributor to Food & Wine, Travel & Leisure, Saveur, and many other publications. She is a former managing editor of the James Beard Award–winning website Serious Eats.